This is just beautiful as can be. Love that picture sweetie! Glad to have you back with this sketch. 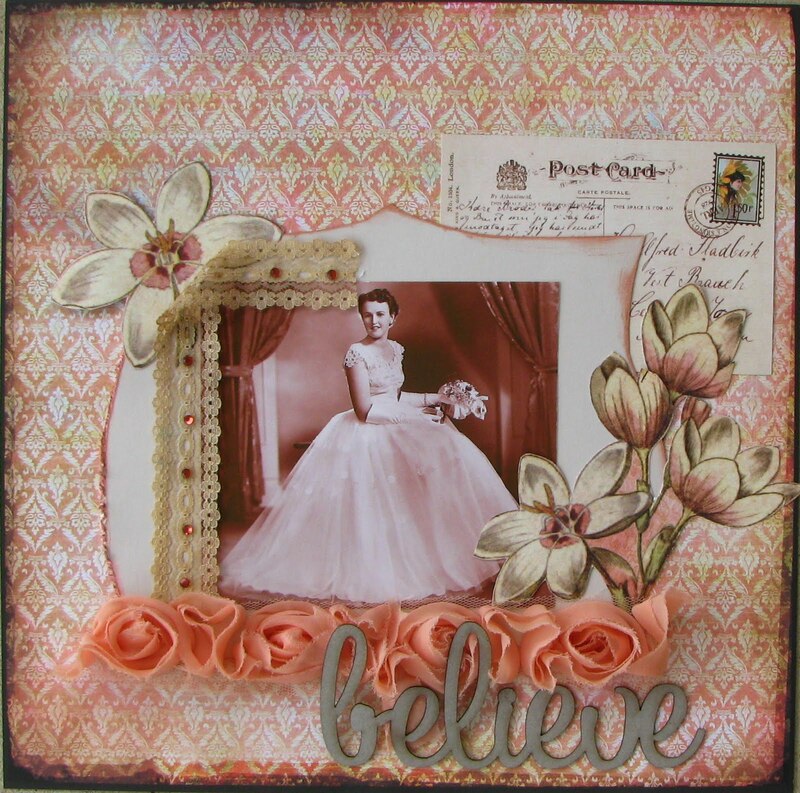 What a stunning layout, love the flowers and the soft soft colors. Thank you for playing with us again at Sketches In Thyme. this is so pretty!! i love those colors and that ribbon is awesome!! that post card is the perfect touch!! thanks for joining us at sketches in thyme!! Wowsers! Such a beautify LO.